Tapwater is harmful for pond and aquarium fish. It contains a chemical compound called chlorine that is added to make the water safe for humans. But this compound combined with the possible trace of some heavy metals like copper and lead, makes it dangerous for fish. The water needs pre treating before being used in aquariums. 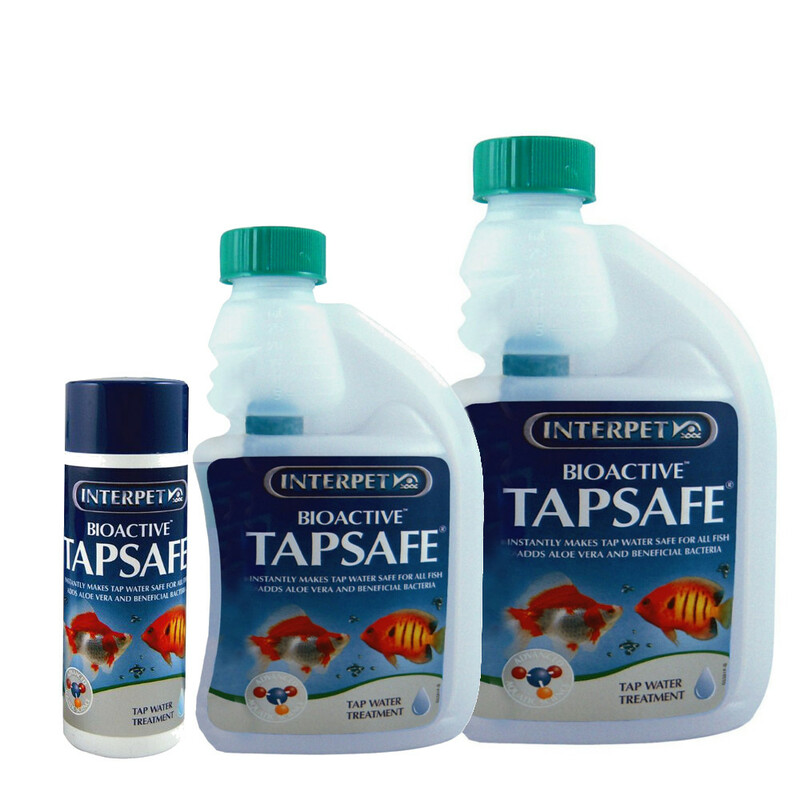 Interpet Bioactive Tapsafe does just that. 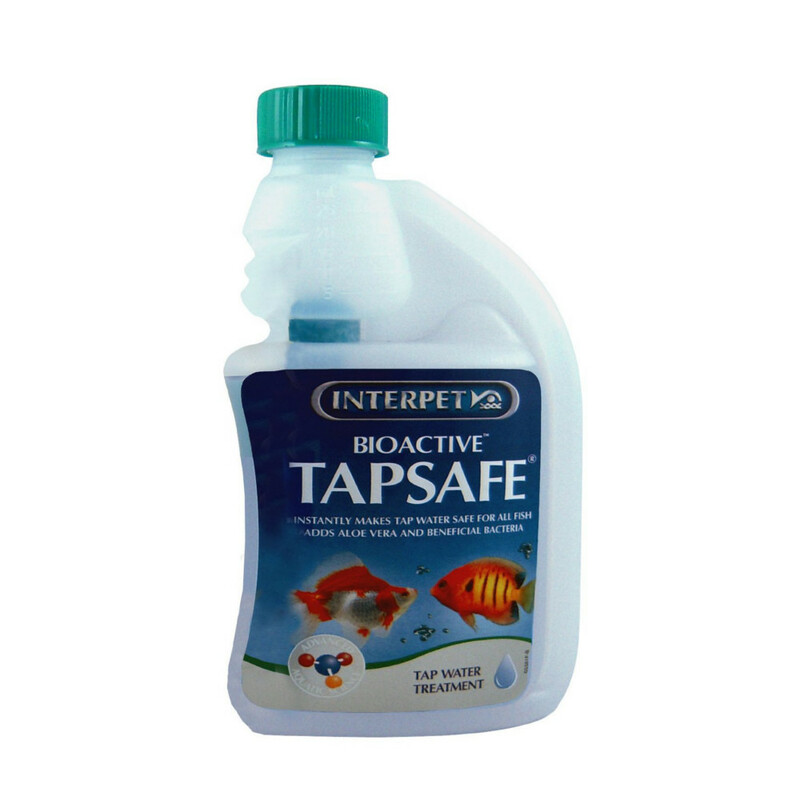 By adding it to tap water, the treatment instantly removes toxic chlorine and chloramine along with any trace elements of toxic metals. 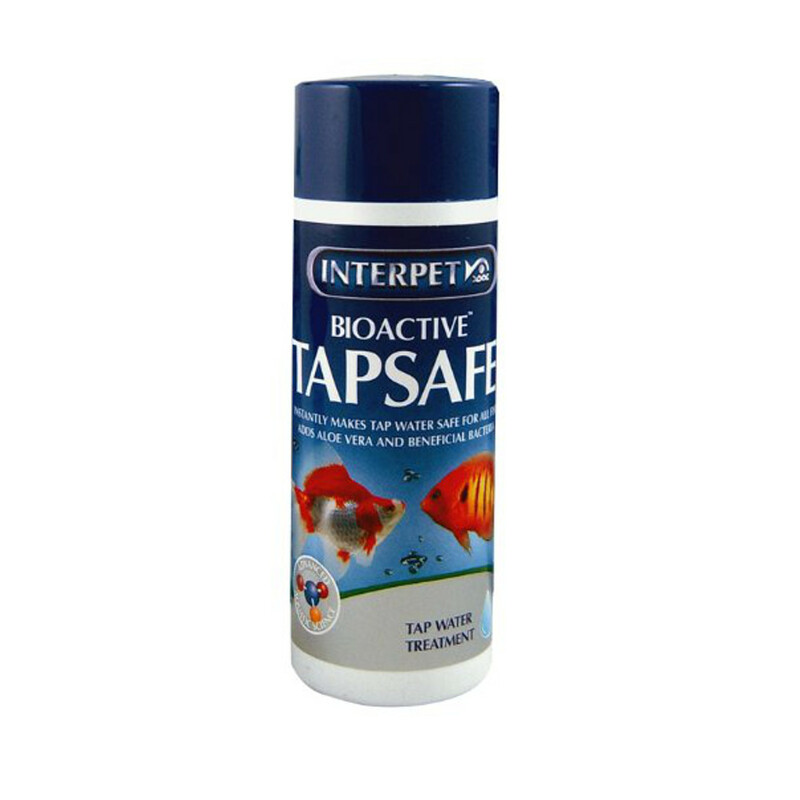 This makes it safe for use in fish tanks and prevents damage to the delicate skin and gill membranes of the fish inside that can be caused if these chemicals are present in water. The treatment also instantly adds Aloe Vera to help protect the skin of the fish as well as beneficial bacteria, to boost the biological cycles in the aquarium and consume toxic waste.